Saul David Alinsky, Barrack Obama's hero and idol... In his book, Rules for Radicals, Alinsky details the 8 levels of control that must be obtained in order to create a socialist state. Saul David Alinsky (January 30, 1909 – June 12, 1972) was an American community organizer and writer. He is generally considered to be the founder of modern community organizing. He is often noted for his book Rules for Radicals . 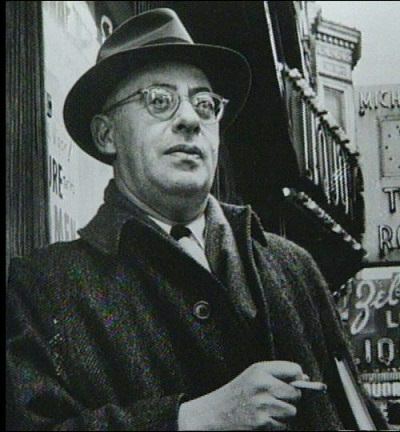 In the course of nearly four decades of political organizing, Alinsky received much criticism, but also gained praise from many public figures. His organizing skills were focused on improving the living conditions of poor communities across North America. In the 1950s, he began turning his attention to improving conditions of the African-American ghettos, beginning with Chicago's and later traveling to other ghettos in California, Michigan, New York City, and a dozen other "trouble spots". His ideas were later adapted by some U.S. college students and other young organizers in the late 1960s and formed part of their strategies for organizing on campus and beyond. Time magazine once wrote that "American democracy is being altered by Alinsky's ideas," and conservative author William F. Buckley said he was "very close to being an organizational genius." Lastly, the main theme throughout Rules for Radicals and Alinsky’s work was empowerment of the poor. 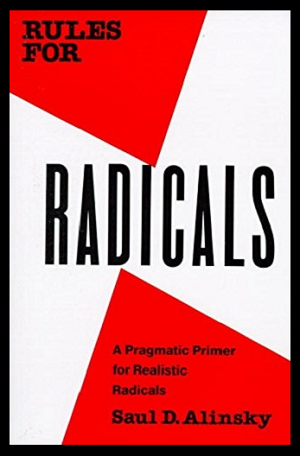 Alinsky used symbol construction and nonviolent conflict to create a structured organization with a clearly defined goal that could take direct action against a common enemy. At this point, Alinsky would withdraw from the organization to allow their progress to be powered by the community itself. This empowered the organizations to create change.